Crocodile Dundee was always ripe for a sequel but didn’t necessarily lend itself to one. 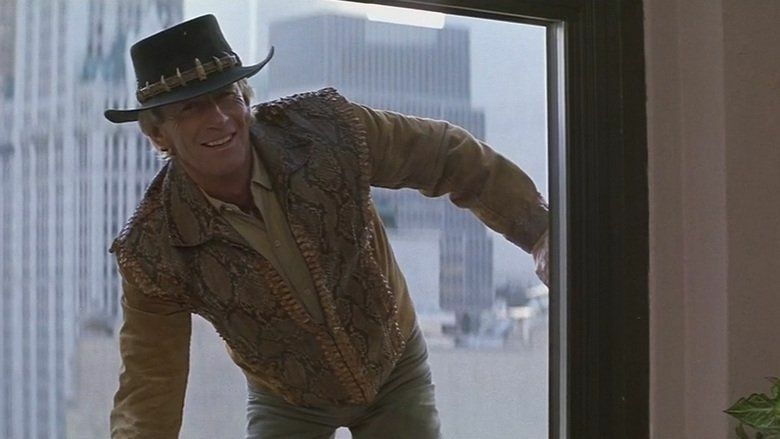 Once Mick “Crocodile” Dundee had moved to New York, the “fish-out-of-water” aspect falls away. Considering that was the best part of what was quite a shallow first movie, it was up to the sequel to deliver something fresher and original. Unfortunately, the sequel doesn’t quite manage this. There are some new elements to the movie but only for the character of Mick Dundee, not for anyone who has watched any action movie of the 1980s. Paul Hogan returns to both star and write this installment and decides that a more action focused approach is required. It doesn’t deliver anything that hasn’t been done many times before though. There is a one-dimensional drug-baron, tons of disposable henchmen and then a flimsy kidnap plot to take up much of the plot. It is different than the first movie but ultimately very generic. It is a shame because there is some magic left in the character. Before the “main plot” kicks in, there is a segment where Dundee seems to be trying to find a job. You can’t help but think this could well have been a different and more original direction for the movie but sadly this only lasts for some of the first act. Within it is some of the great comedy that made the first movie so memorable, from a classic Dundee encounter with a “jumper” and a very Australian way to go fishing in New York. The film’s biggest strength has always been Paul Hogan’s titular character and his tricky ways of using his bushman skills. Fortunately, Hogan realises that too and through some quite spurious plot device, the film finds itself back in the Australian setting which started the first movie. Here it is Crocodile Dundee versus plenty of stupid henchmen as he uses his knowledge and know-how to slowly remove each threat. The final act is a better movie, with some of the charm that made Paul Hogan’s original movie so watchable. It still doesn’t do quite enough to live up to the very funny original and you never quite feel that the “fish-out-of-water” concept is matched. Add to to this a very poor finale to the whole story and it seems that although they’ve added depth to the movie, it lacks some of the first movie’s originality. 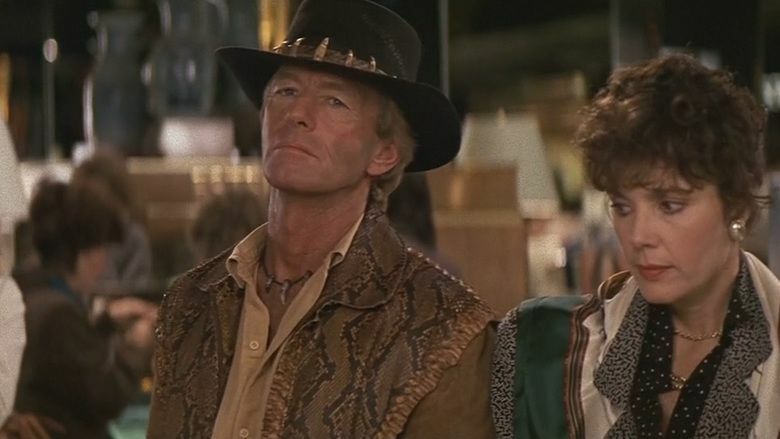 Overall, Crocodile Dundee 2 is definitely different to the first movie but not to most of what the 80s produced. In trying to be different to the first it becomes a generic action movie that doesn’t quite utilise the charm and skills that made Mick “Crocodile” Dundee such an appealing character. As a ten year old, this worked for me. I just liked seeing familiar characters. I would watch a sequel to just about anything in the 80s. This definitely has a solid place in my childhood. Doesn’t quite stand the test of time though. Sadly, a lot of stuff falls in that category.